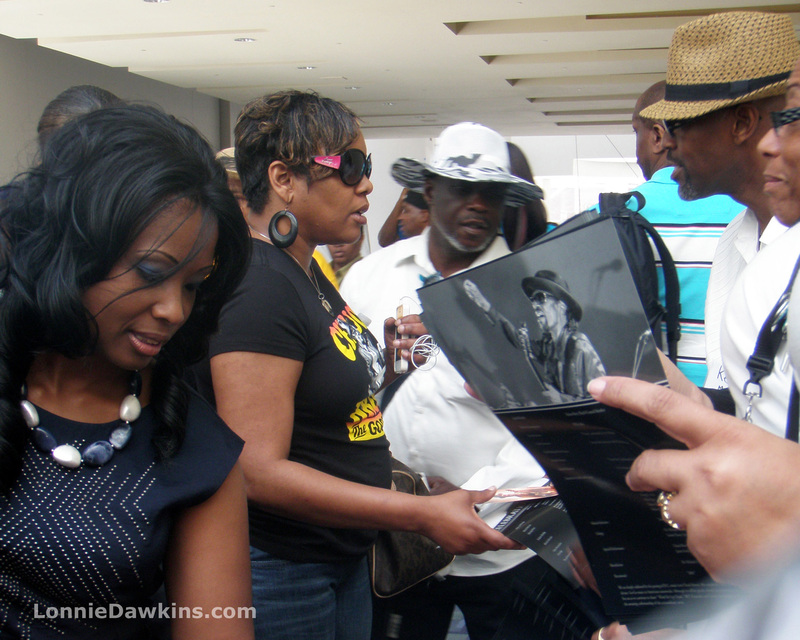 A large and diverse group of fans gathered to show love and respect for the Godfather of GoGo, Chuck Brown. 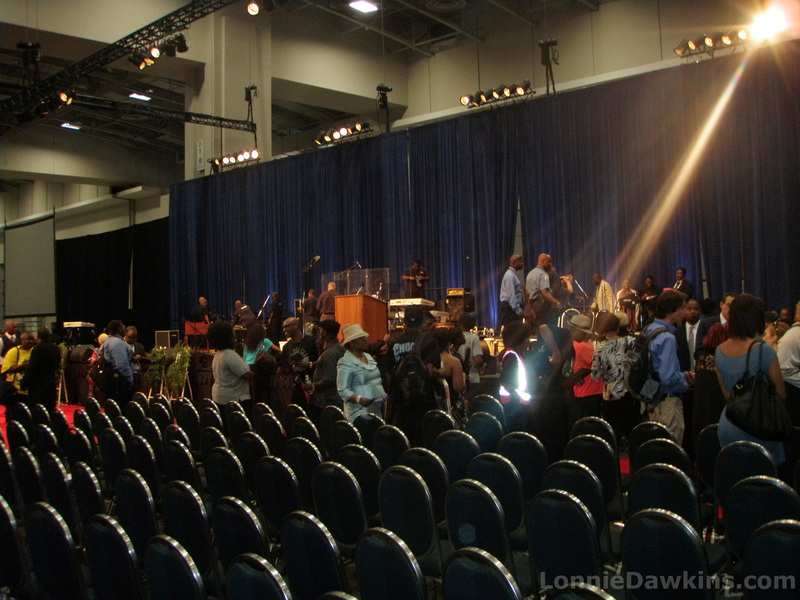 Services took place on May 31, 2012 at the Washington Convention Center. It was a remarkable occasion. 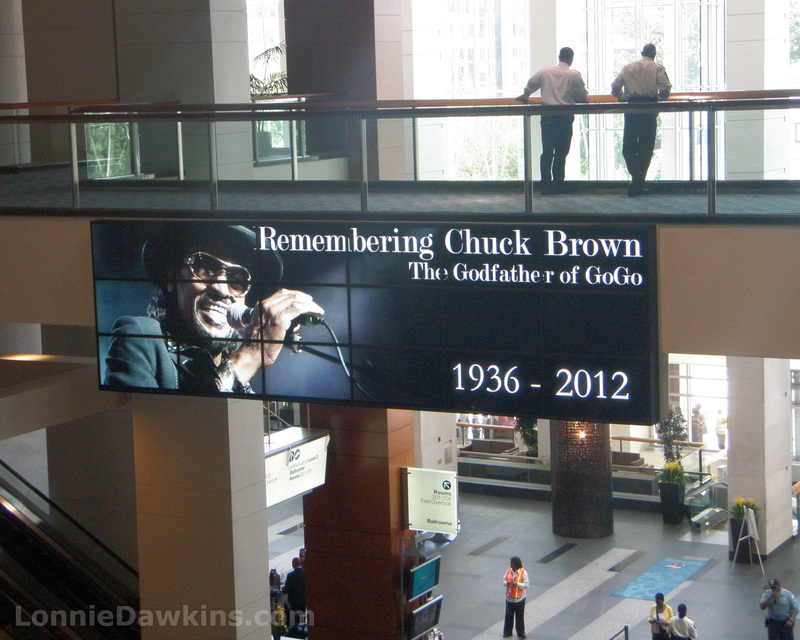 Sign hanging in Washington Convention Center during Chuck Brown funeral. Light shining on mourners gathered at front of room after Chuck Brown funeral. Fans collecting program and souvenirs after funeral for Chuck Brown at the Washington Convention Center. One of the many Chuck Brown fans. 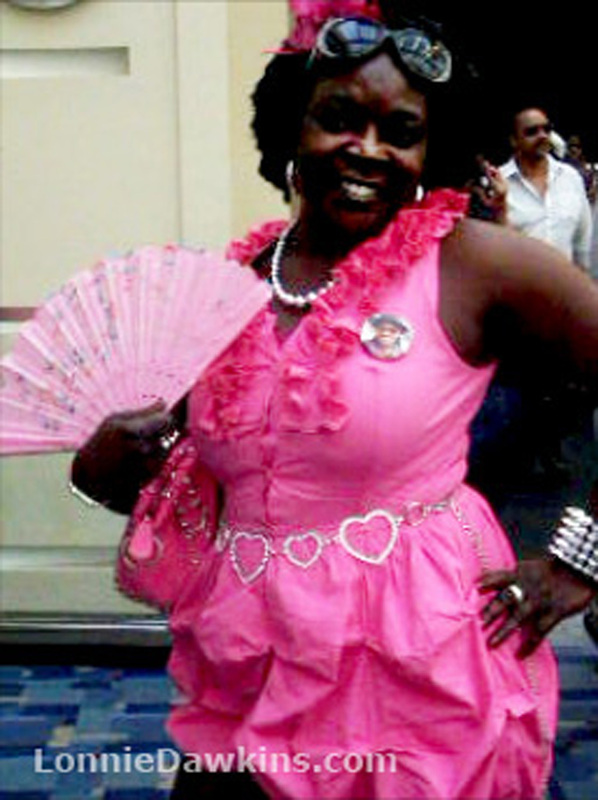 Fans came in all sorts of attire but this one stood out in her fabulous pink outfit. This entry was posted in People, Photography and tagged Chuck Brown, godfather, gogo, Maryland photographer, memorial service, music, Washington DC. Bookmark the permalink.